ADHD, or attention-deficit/hyperactivity disorder, is among the costliest of behavioral disorders. Its combination of inattention, impulsivity and hyperactivity leads to accidental injuries, school failure, substance abuse, antisocial behavior and more. Yet despite nearly a century of study, the disorder's roots remain mysterious. Much of modern ADHD research has focused on heritability of the condition, and indeed evidence suggests that genes may account for as much as 70 percent of hyperactivity and inattention in children. But that leaves 30 percent unexplained, so recently the focus has shifted to the environment. What is it that triggers an underlying susceptibility and changes it into a full-blown disorder? New research suggests that the culprit may be an old villain-lead-and what's more it explains the causal pathway from exposure to disability. Lead is a neurotoxin. This has been known for a long time, and in fact government regulation drastically reduced environmental lead a generation ago. But regulating automobile fuel and paint didn't entirely eliminate lead from the environment. It's found in trace amounts in everything from children's costume jewelry to imported candies to soil and drinking water. Every American today is exposed to low levels of the metal, and indeed nearly all children have measureable levels of lead in their bodies. According to psychological scientist Joel Nigg of the Oregon Health & Science University, this universal low-level exposure makes lead an ideal candidate for the disorder's trigger. This was just a theory until quite recently, but two recent studies now provide strong evidence. The first study compared children formally diagnosed with ADHD to controls, and found that the children with the disorder had slightly higher levels of lead in their blood. This study showed a link only between blood lead and hyperactivity/impulsivity symptoms, not inattention. 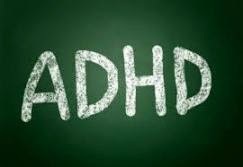 But a second study showed a robust link between blood lead and both parent and teacher ratings of ADHD symptoms, including both hyperactivity and attention problems. In both studies, the connection was independent of IQ, family income, race, or maternal smoking during pregnancy. Nigg offers a causal model for the disabling symptoms associated with ADHD: Lead attaches to sites in the brain's striatum and frontal cortex, where it acts on the genes in these regions-causing them to turn on or remain inactive. Gene activity shapes the development and activity of these brain regions. By disrupting brain activity, the toxin in turn alters psychological processes supported by these neurons, notably cognitive control. Finally, diminished cognitive control contributes to hyperactivity and lack of vigilance. Nigg describes his new data and his explanatory model in the February issue of the journal Current Directions in Psychological Science.